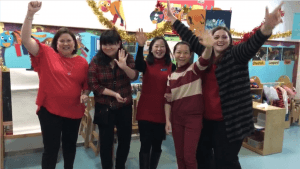 Every year at the YCIS Shanghai Staff Christmas Dinner, the school is excited to celebrate the teachers and support staff who have completed 10 years of service as a staff member at YCIS Shanghai. 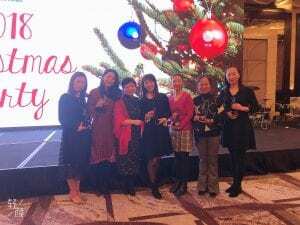 This school year, on December 14, 2018 it was a special night for YCIS Pudong as we were able to celebrate ten of our Teachers achieving this milestone. 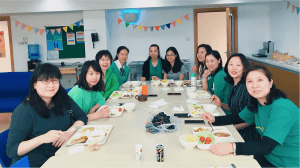 We recently spoke to each of them to understand more about what they like about the school and what motivates them to continue contributing to the success of YCIS. Please share with us what your position is, what you do and your previous background. Carrie: I am the Y2B class teacher and CAL-2 Chinese Language Teacher, as well as Lower Primary CAL leader. I have a Bachelor degree in International Chinese learning and I used to work in a language school for two yearsbefore joining YCIS. 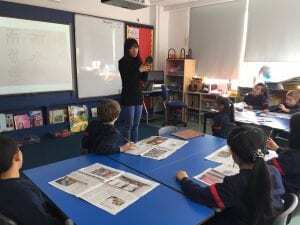 Sissy: Before becoming the Primary Head of Chinese Department and PD Coordinator, I was the Y1, CAL and CFL Curriculum leader and Co-teaching committee facilitator, as well as teaching Chinese from Year 1 to Year 6. I am still teaching Y6 Chinese this year. 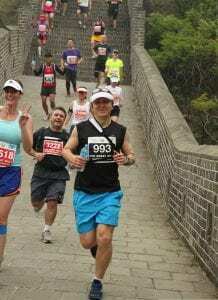 I graduated from East China Normal University with a Master Degree in Teaching Chinese to Speakers of Other Languages and a Teaching Degree in Primary and Early Childhood Education. I also have a Bachelor degree in Administration and a vocational qualification of Psychological Consultant. Cathy: I graduated from Shanghai Normal University majoring in Primary Education. Before having the honor to be a part of YCIS, I worked for a local school for 9 years as a Chinese Language teacher and Year Level leader. Lydia: I had been teaching Mandarin as an additional language at a language training school in Shanghai for 6 years before joining YCIS. I am the Y4A Chinese co-teacher and Upper Primary CAL leader. 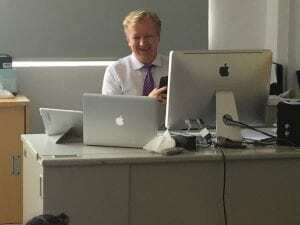 I also teach CAL5 to Year 5 students. 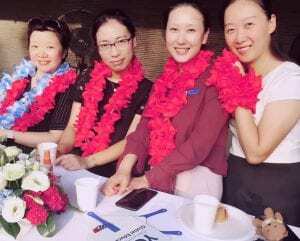 Rainbow: I have been in the education field for 12 years and I used to work in another Kindergarten in Shanghai before joining the YCIS family. I have a bachelor degree from Shanghai East China Normal University. 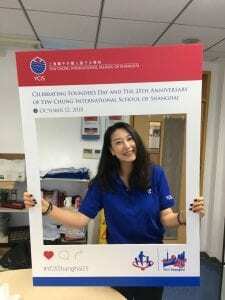 Vivien: Before working at YCIS, I was an English teacher in a local middle school for five years and then a Chinese teacher at an international school for four years. I am teaching Year 2 this year. Cindy: I graduated from Shanghai Nan Lin Normal school where I majored in Childhood Education. I worked in a local school for 3 years, and worked in anotherinternational school for over 10 years. Alex: I used to be a Year 1 Co-Teacher for 5 years before becoming Technology Teacher and Integrator for the past 5 years. I am from Ukraine and I majored in Linguistics English and Japanese and my last degree was from US University in “Integrating Technology in K-12 classroom”. Alicia: This year I am teaching K2A. For the past ten years here, I have taught in K2 and K3. I am originally from Hong Kong and studied in Hong Kong, international schools in Shanghai, and USA. I have a bachelor’s degree in Early Childhood Education from State University of New York at New Paltz, and a master’s degree in Teaching English to Speakers of Other Languages from University of Southern California. What do you like the most at YCIS? Carrie: I like YCIS because the teachers and colleagues here are very friendly and professional. We treat each other like family. And I love the learning environment at YCIS; we teach students with love and students show their passion for learning. Sissy: I like that YCIS is providing a holistic educationand curriculum for students, supporting their social and emotional development, as well as their academic development. Also, I like the whole YCIS community and working in the international environment that values both eastern and western culture. Cathy: What appeals to me the most in the school is that there are many learning opportunities here. I have the chance to learn more about the latest educational ideas and practices in my own teaching career. I quite enjoy working here with my team and my co-teachers. I also made many good friends in YCIS. Lydia: What I like most at YCIS is the big learning communitythat the school provides to all the students, staff and parents. Rainbow: I love to be with the young children and have a lot of opportunities to play, learn and grow with them together. I like our working team the most, because we always encourage each other, collaborate with each other and enjoy every moment we have in our teaching. Vivien: I really enjoy working at YCIS, I like the school motto quite well, it is really an amazing learning community at YCIS. Students have lots of opportunities to experience Art, PE, Chinese, Music etc. Eva: What I like most about working at YCIS is the working environment, where everyone is respected and treated equally. It is a positive place to work and I have been fortunate to work in successful teams who are like a family. Alex: What I like the most is the professional atmosphere created by the school leaders, the ways they approach solving different problems and providing teachers with support. Also, I really like working with a diverse group of students coming from different cultures and being unique in their own ways. Alicia: I really like how friendly and collaborative we all are, we are constantly sharing teaching ideas and resources. What is your best memory at YCIS? Carrie: The most memorable event at YCIS is the farewell of teachers and students. We keep in touch with our colleagues and students when they leave and no matter where they go, we still keep the good memory we had in school. 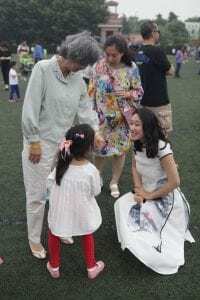 Sissy: Global Child Day is one of my favourite events, I really appreciate exploring the different cultures and the flag parade and feel the harmony of our community. Lydia:My most memorable event at YCIS is the camp with Y6 students. I learn lots of useful skills and develop my own potential along with the students. Rainbow: As an ECE teacher, I would never forget that when a parent came to me said, “I feel so happy to have you be my child’s teacher this year. We’ve heard quite good things aboutyou.” We are so lucky. I am so thankful that I chose to be an ECE teacher as my career. Vivien: I like the Global Child Day event, it is a good chance for students to know and learn more information about different countries. Cindy: What I like the most at YCIS is I always learn something new. The School is steadily growing and developing, and we are always facing something new. 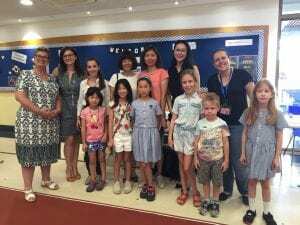 Eva: There are lots of memories but I like meeting my new co-teachers. They help me to grow positively both professionally and personally. I have learned many different cultures from them and from the students, helping me to improve holistically. Alex: My first Year 1 graduation in 2009, because I saw how much the kids had grown and I felt proud of the positive impact I had contributed to their growth. Alicia: My most memorable events are my colleagues’baby showers and my most memorable souvenir has to be now my 10-year trophy and necklace. Carrie: I like to travel and learn about different cultures in various ways. I also like to taste the food from countries. Sissy: Watch movies, Chinese dance and a super “Chi Huo” (foodie) look for different restaurants to try different food. Cathy: After school, I usually have a good time with my family, ie. reading some stories for my daughter. Traveling, listening to music and tasting all kinds of food are my hobbies as well. Lydia: I enjoy and appreciate Chinese traditional Xiqu, such as Kunqu opera, Jingju opera. Reading and exercising is also my favorite way to relax. Rainbow: I like to travel and spend time with my family. Vivien: In my spare time I like reading, travelling and crafts. Cindy: I like to read and listen music in my free time. Eva: There’s an old saying: “Read ten thousand books and travel ten thousand miles.” In my spare time, I like reading and traveling. Alex: For me, it is also Reading and Sports as well! Alicia: And me, watching movies and stage shows, playing with my cat, and traveling the world.